I could not live without coffee. The morning that I awoke to discover the creamer was all gone, was a nightmare of epic proportions. I was in a daze, wondering who had sabotaged my morning routine. I mean, it must have been sabotage, because there was no way I would have forgotten to add creamer to the grocery list! I had milk. I had sugar. I had vanilla. I tried it, and it just wasn’t cutting it. I just had to have the smooth, creamy start to my day. As Plato pointed out so long ago, “Necessity is the mother of invention.” In a moment of inspiration I ran to my computer and immediately began Google-ing a homemade creamer recipe. Every recipe I found called for condensed milk. Crap! I was out of that too! I was saved by the bell when another search pointed out it was relatively easy to make that at home too. Two hours later, I had fresh, homemade condensed milk and was finally on my way to enjoying my first cup of coffee. Since then, I keep this in the fridge for creamer, and also for smoothies and baking. 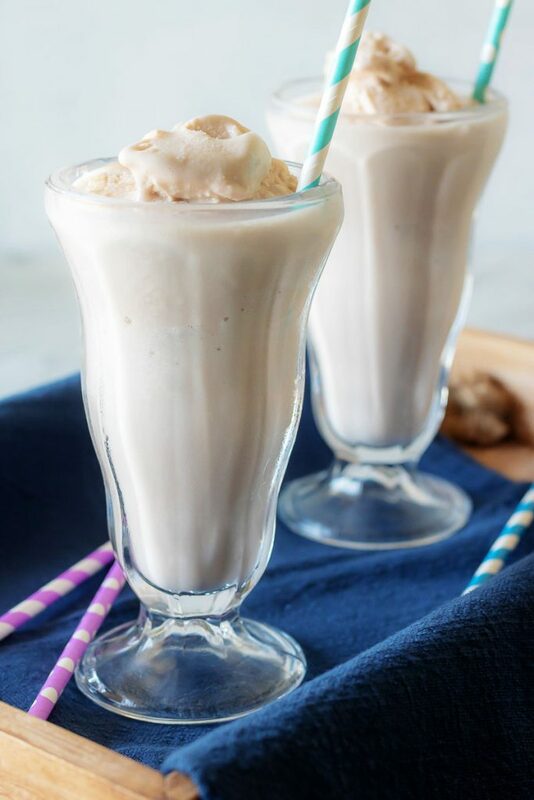 It works just as well as it’s store-bought counterparts, and with less than half the sugar. 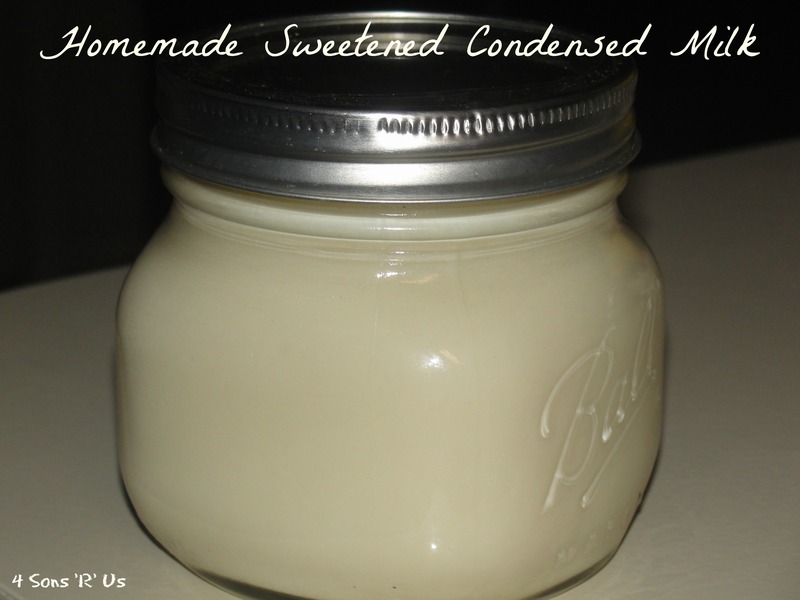 Store your own homemade condensed milk in an air tight refrigerator and it can be used up until the expiration date on the milk used to make it. In a heavy-bottomed pot, bring the milk and the sugar to a boil over medium heat. Reduce the heat to low, and simmer very gently for about 2 hours until the volume is reduced by half. The milk should be barely simmering and never boiling at any point. Use a timer, and stir every 15 minutes to keep the ‘skin’ from developing on top. After 2 hours, stir in the butter. Remove the pot from heat, and allow to cool. The milk will thicken as it cools. When refrigerated, the homemade version has thicker consistency than the commercial one. You can add a few drops of water and whisk it lightly if desired to get a thinner mixture.